BASF is expanding the production plant for the insulation material Styrodur C at the Ludwigshafen site in Germany. This will increase the production capacity of the extruded polystyrene rigid foam panels (XPS) from the current 1.3 million m³ by an additional 220,000m³. In the extended plant the new XPS types Styrodur Neo and Styrodur HT can be manufactured along with standard products. Operation will start at the end of 2011. “The Styrodur C business runs successfully, the demand for energy-efficient building insulation products rises continuously,” Dr Giorgio Greening, head of BASF’s global foam business unit said. “By increasing our capacity we are aiming to establish our new XPS products, which represent a major advance in insulation performance and processing, within the construction sector in the long run. We can also ensure the delivery to our customers of high-performance standard products, such as thick or high-density panels,”. The European XPS market is currently growing by 3% to 5% per annum, driven by rising energy prices and legal regulations on thermal insulation in new and old buildings. Pressure-resistant, water-repellent and rot-proof Styrodur C has been protecting homes against heat, cold and moisture for more than 45 years. This prolongs the service life of buildings, increases their value and improves the living climate. With specifiers and homeowners alike increasingly turning to GRP composite doors for their thermal performance and durability, so Bowater Doors, has developed ‘Doors for Life’ which not only ‘future proofs’ properties to meet the highest insulation and security standards, but also allows the doors to be quickly and cost effectively upgraded on site, to meet the changing requirements of the specifier or homeowner. The range offers double rebate with double compression seals doors, fire doors and single rebate doors, which offer U-values ranging up to 0.8 Wm2K – the performance demanded by level 6 in terms of the Code for Sustainable Homes, the highest standard currently in force for new housing. All doors are bespoke and made to measure, making them easy to install and so upgrade both the thermal performance and appearance of existing properties over the long term as the doors are impact resistant and simple to maintain as they are manufactured using the thermoset process. This process creates pre-formed door skins, beads and panels with a high definition finish and enables Bowater to use GRP ‘through colour’ skins that have strong colourfastness that resist UV-induced fading. 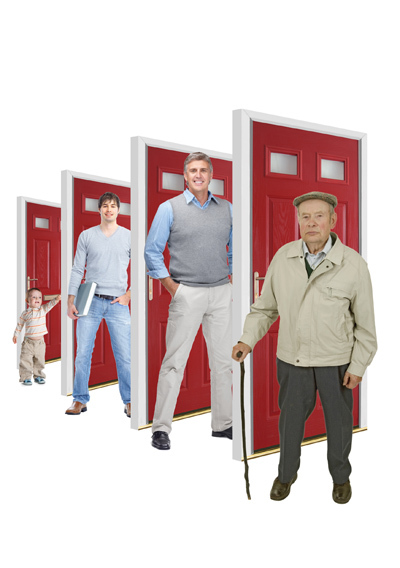 The doors are prepped by Bowater Doors at the manufacturing stage to receive a full family of locking systems, which means that if circumstances require enhanced security, automatic or electronic locks after initial installation, the upgrade can be done with minimal disruption and cost, on site. There are six locking systems available from standard multipoint locking right through to automatic electronic systems operated by key fob. 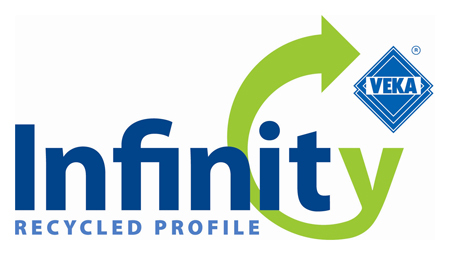 Roofline manufacturer Homeline has developed Core, a new range of environmentally friendly BBA approved recycled fascias and soffits, which meet and exceed the industry’s recycling and sustainability criteria. The name is Core is derived from the process that Homeline uses to make the recycled roofline range. The inner core of the product is produced using recycled PVC-U, but the outer skin (the bit you see) uses virgin PVC-U which encapsulates the core to provide a perfect finish. Core maintains high performance which is reinforced with new BBA accreditation and BSI approval for the new recycled formulation. In addition, Homeline is actively working towards IS0:14001. Core’s green credentials enable customers to increase the recycled content and overall sustainability of roofline installations for new-build and social housing projects. Carrying the strapline ‘recycled into our core, not the earth’s’, environmentally friendly rooflines help to protect the earth’s core, thereby satisfying all the industry expectation for environmental responsibility. As well as being kind to the environment, Core is also fitter friendly featuring useful fixing point guidelines which help to create a professional installation. 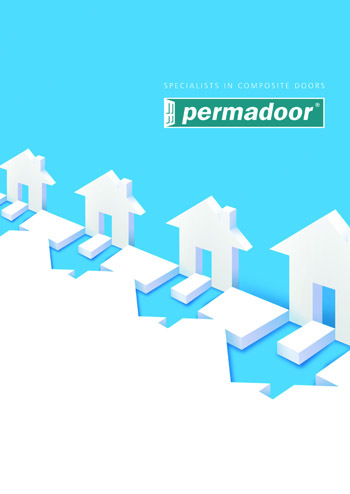 Internorm has developed a specialist thermal coating which is available on its windows as standard. 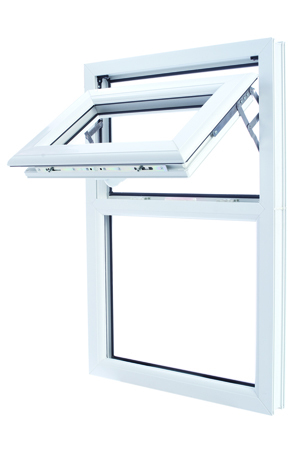 Solar+ triple glazing maximises the potential energy gains provided through solar irradiation. It prevents subsequent heat loss through the window with very low Ug values, helping to maintain a comfortable, cost, carbon and energy efficient interior environment. 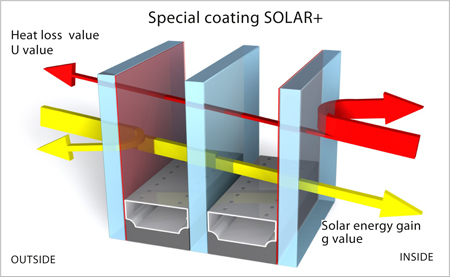 Solar+ is a triple insulating glass that not only meets but also exceeds the requirements of Part L 2010. It both actively promotes energy transmission of solar irradiation into the building (g value) as well as preventing energy loss through the window (Ug value). The thermal conductivity of Solar+ is 20% higher than with standard triple glazing. This means that solar energy gain is increased by 20% too. For cold seasons, buildings fitted with Internorm’s windows will maximise the potential of the very low solar energy available, retaining the heat gain within the building. Solar+ even operates in situations where the window does not face directly south, or the building is not ideally located to optimise the sunlight available. To combat overheating in the summer months, all Internorm’s windows are available with sun protection features. This ensures that, while the building can retain maximum solar energy when it is needed, so too can the building’s users keep temperatures cooler when required without the need for energy-intensive mechanical systems, with a number of different options. These include integral blinds, attachment blinds, window shutters and roller shutters. The GEOlight stormwater management system from SDS has just been accepted by Wessex Water for a number of trial installations in conjunction with developers. 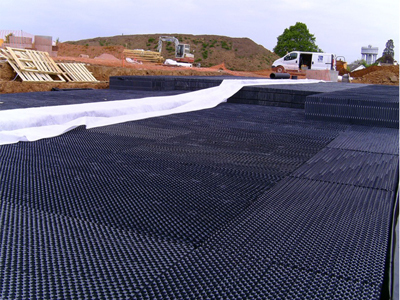 The GEOlight stormwater management system from SDS is an ultra lightweight honeycombed preformed modular structure made from recycled PVC which provides an underground stormwater storage facility for the application of stormwater attenuation or infiltration. The high void rate of up to 97%, high compressive strength of up to 1000kN/m2 and low resistance to water flow makes GEOlight a maintainable and cost efficient solution ideal for underground storage during storm conditions. As well as attaining ISO 9001, the company is currently undergoing ISO 14001 Environmental Standard accreditation, demonstrating its commitment to developing an environmental management system in areas such as waste reduction and the use of recycled products. PIR insulation manufacturer, Celotex, has received Energy Saving Trust approval for its CW4000 boards – the first ever polyisocyanurate (PIR) product to do so. 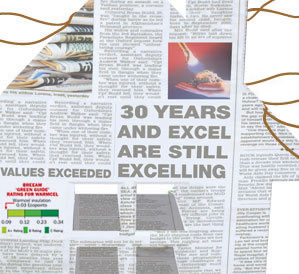 To qualify for EST approval, the insulation must meet strict levels of energy efficiency. CW4000 is A+ rated when compared to the BRE Green Guide 2008 and offers zero ozone depletion potential and low global warming potential, as well as making it ideal to sit alongside other EST approved best-in-class products ranging from televisions and ovens to boilers and light fittings. Previously, mainly traditional insulation materials including mineral wool and polystyrene foam have been included on the approved list of energy saving insulation. 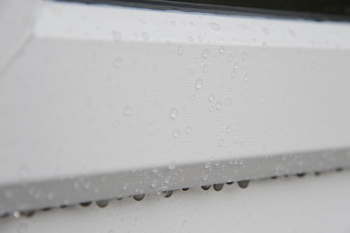 Now, with the approval of CW4000, the EST is promoting the numerous additional benefits that modern PIR offers when compared to more conventional products – including achieving thermal efficiency with thinner profiles, a wide variety of available thicknesses, ease of installation and outstanding moisture resistance. 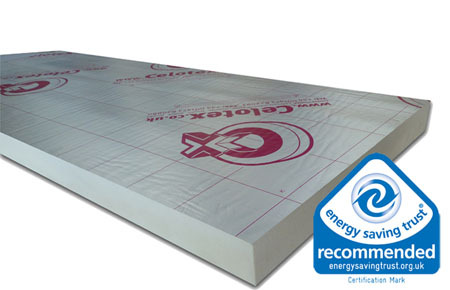 Some Celotex products have also received OFGEM (Office of the Gas and Electricity Markets) approval, as part of a scheme initiated by the Government and administered by OFGEM to recognise products that reduce CO2 emissions. Compliant products are awarded approved for use under the CERT and CESP schemes which obligate the main energy suppliers to deliver energy savings to their customer base. 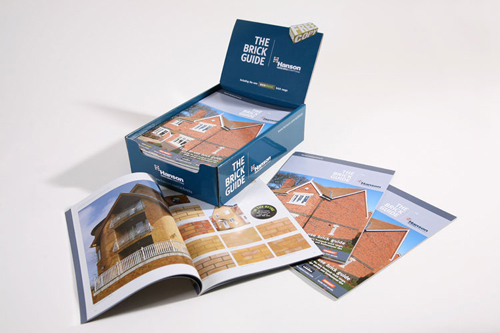 As well as this, all Celotex’s insulation products have been approved by the British Board of Agrément (BBA). Lafarge Readymix has received an International Green Hero wall-shield for its environmental innovation and efforts to extend eco-friendly practice. The honour, from prestigious eco-champions The Green Organisation, comes on top of Lafarge’s earlier Green Apple award. Jeremy Greenwood, managing director Readymix, a unit of Lafarge Aggregates & Concrete UK, was presented with the wall-shield by Trevor Bayliss OBE – famed for inventing the wind-up radio. Readymix’s success in the awards comes in recognition of its flooring concrete, Extensia, a more environmentally friendly, low-shrink product which can help reduce the CO2 emissions of construction by 20% compared to conventional concrete. Jeremy said: “This is a true honour. Being recognised by The Green Organisation for one award is fantastic but to receive Green Hero status is outstanding and just goes to show that all the hard work of our employees has paid off. “I am so proud of each and every member of the business for all their efforts in extremely challenging times. Innovation has always been at the heart of Lafarge’s philosophy and we also take our responsibility to reduce our impact on the environment extremely seriously. Lafarge and Extensia will also be featured in The Green Book, the world’s only work of reference on environmental best practice, distributed globally with the intention of inspiring future ecologically sound innovation. Its formulation means there is no need to include steel mesh or steel fibre to control drying shrinkage and this absence of steel makes it 100 per cent recyclable. 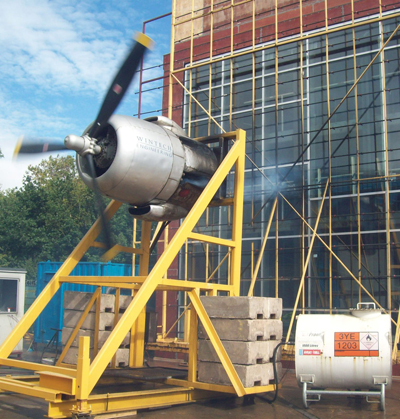 Its high flexural strength also means it can be laid in thinner slabs, reducing the total amount of concrete required. Schueco UK has just announced that a range of its latest facade systems has successfully completed rigorous testing to the latest CWCT standard. The tests, which were carried out by Wintech Engineering, show that the Schueco systems also meet or exceed current BS EN standards for curtain walling. The systems tested include two of Schueco's best-selling curtain wall products FW 50+ and FW 60+, both of which performed up to, or above, the required standard. In fact, these two systems have already demonstrated their excellent energy-saving credentials by being officially accredited by the PassivHaus Institut. The third Schueco system to be tested was the FW 50+SG. This widely specified, structural glazing facade performed equally well against other conventionally glazed FW+ systems, demonstrating that a specifier can be certain that any Schueco facade will be able to meet the latest performance standards with ease. Street signage across the UK could be set for a new lease of life thanks to Leeds plastics recycling specialist, sustainableoptions.co.uk. The company, which is based in Riverside Place, has identified a gap in the British market, and begun producing heavy duty plastic signage. There has already been massive interest from a number of local authorities and talks are now in progress with several. Marketing manager at sustainableoptions.co.uk, Jo Dell, said: “The recycled plastic signs we have developed are perfect for use with Britain's inclement weather, and the rigours of modern society, because they are rot proof, rust proof, chemical proof and vandal proof, graffiti just wipes off them. “If you look around, thousands of signs across the country are either rusting, bent, or just rotting. We realised there was a huge opportunity and got our research and development department to produce a range of pilot products. Sustainable Options' plastics are now used across the world in a variety of ways and have been made into railway sleepers, fencing for heavily waterlogged environments – the Environment Agency is one of their customers – and even funky furniture. The news signs are predicted to last five times longer than wood and are more durable than metal. Carter Homes has achieved industry-leading airtightness test results at its Boughton development, Nottinghamshire. In order to achieve comparative results, Carter Homes selected Warmcel 500 insulation from Excel Fibre Technology for one of the five homes, and more conventional mineral fibre for the others. The properties were tested for airtightness by iRed and Elite Energy, with the Warmcel-insulated home recording a result of 2.93m3/hr/m2 first time – exceeding the required 3m3/hr/m2 without any remedial work. 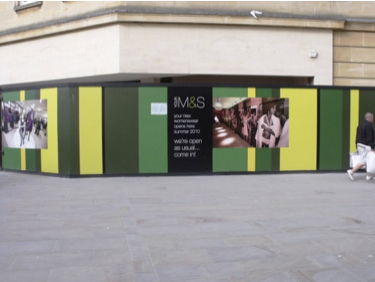 The mineral fibre insulations achieved the 3m3/hr/m2 target after remedial works and re-testing were undertaken. “It’s great to be able to meet challenging environmental targets first time,” said Matthew Chamberlain, contracts manager at Carter Homes. “The Code for Sustainable Homes and the newest Part L building regulations both have airtightness at their heart, and we’re proud to be able to independently prove that we’re building to these standards. Warmcel offers airtight performance in two ways – its inherent low air permeability and its installation method which is void free. In addition, Warmcel is manufactured from 100% recycled newsprint, and so sequesters carbon within the fabric of the building. Anglia First Home Improvements, the Norwich based Duraflex fabricator, has recently undergone a comprehensive environmental review of the resources they use from pollution prevention, waste management and recycling. 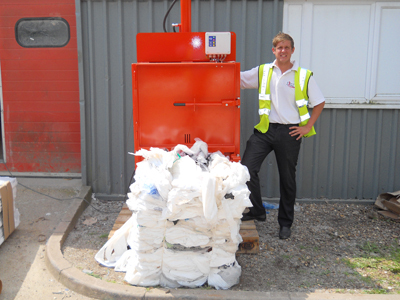 As part of the review, they’ve recently invested in a Waste Advice (UK) recycling waste compactor for their cardboard and polythene packaging waste. 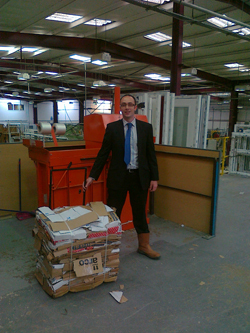 Kyle Huggins, Anglia First’s environmental manager, said: “As part of our existing environmental policy and our commitment to on-going improvements in our operations production efficiency we wanted to ensure that none of our recyclable polythene and cardboard packaging waste ended up in landfill. “This simple waste segregation process has also enabled us to benefit from significant cost efficiencies by reducing the frequency in which are skips are emptied. “We’ve been so impressed with the performance of this relatively small compactor we’ve ordered another machine for our new site in Bury St Edmonds. “In addition to recycling our packaging waste we’ve also introduced other environmental initiatives that ensure none of our post consumer frames or glass ends up in landfill.